A child from Lanyang leaves on the train. in the air is yours or his. The author Huang Chunming described the emotional experience of returning home in this verse. In a Chinese paper cut art piece titled Going to Yilan, his depiction of the "Nine Curves and Eighteen Turns" is both romantic and humorous. For early travelers from Yilan, the journey home was long and arduous. Despite the breathtakingly beautiful mountainous scenery, driving along the Taipei-Yilan Highway is a vertiginous experience navigating the tortuous roads. A more comfortable alternative is taking the train. However, upon entering the Caoling Tunnel, the passengers all close the windows simultaneously so that black smoke belching from the engine does not enter the train cars—something guaranteed to leave you black and sooty. Even with the completion of the freeway, the trip home for Yilan residents still entails traversing a seemingly neverending road that is only 12.9 kilometers long. The Xueshan mountain range lies between Yilan and the outside world, presenting a formidable barrier for travelers. The sea is another route. 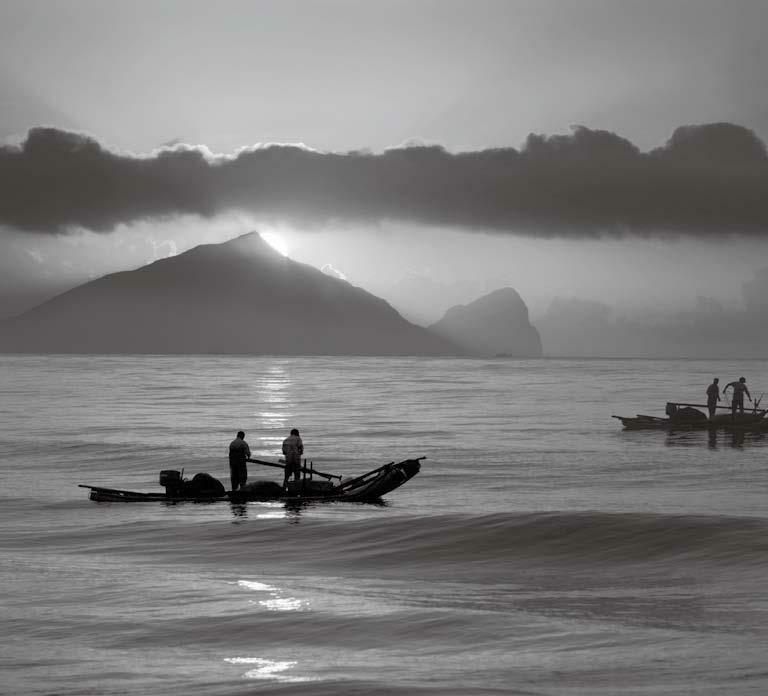 According to "The Kavalan Chronicles", the sea surrounding Yilan is different from other waters around Taiwan. The south wind blows everywhere else, whereas the north wind blows exclusively in Yilan. Perilous waters lie off of Keelung, Mao'ao and Bitou Cape to the north, while powerful eddies and tides are found down south along the Hualien coast. "Every ship that enters Yilan should follow the islands; otherwise you will capsize when the east wind blows."